Experts give their insights on Asia's changing investment landscape and how the region should be built into a portfolio. Could you be overlooking investment opportunities in Asia? What&apos;s the best way to find exposure in the region? In this podcast, Richard Edgar, Editor in Chief, talks to Fidelity’s Gary Monaghan, Hong Kong-based Investment Director for Equity, and Luc Froehlich, Head of Investment Directing for Asian Fixed Income, about who is putting their money where in Asia - and it might not be what you expect. They also discuss the recent addition of Chinese mainland listed stocks to the MSCI flagship emerging markets index and why it’s a game changer for investors. 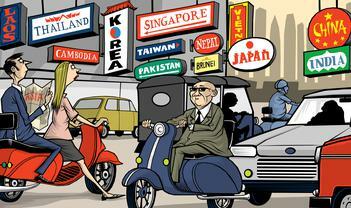 Richard Edgar: Why should I reconsider my allocation to Asia? That’s the question Fidelity answers. In this podcast we explore the very latest in the investment world in Asia, challenge some received wisdom, and find out who is putting money where in the region - and it might not be what you expect. I’m joined here in our Hong Kong studio by two investment directors and experts on the region: Luc Froehlich from fixed income and Gary Monaghan, who covers equities. Welcome to you both. Now we’re recording this just after the announcement of which Chinese mainland listed stocks are to be included in the MSCI flagship emerging markets index - that’s a benchmark for over a trillion and a half dollars’ worth of assets. Gary, is this a game changer for the region as well as for China? Gary Monaghan: It is, in that Chinese mainland shares can no longer be ignored. I think it’s fair to say that if we if we consider where investors have been putting their money for the last 10 years, or even longer than that, it’s been very easy to ignore the mainland because it&apos;s not in the index. Suddenly they move into the index and you can no longer ignore it. So in that sense definitely it is a game changer. And what it also means for asset manufacturers - if you like, the likes of Fidelity - is that if you haven’t already been looking at A shares you’re going to have to start doing that and it&apos;s not an easy task. The companies generally report in Mandarin. 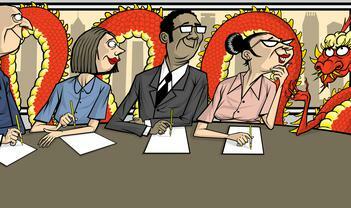 The company reports will be written in Mandarin as well. So you need to get your analysts in place in order to do that and it’s not an easy task. Richard Edgar: Well I’m sure you’ve been brushing up your own Mandarin, Gary. But nobody is denying that is one of the greatest hurdles to investing in China: that the companies are of course reporting in their own native tongue. So you’ve got to be able to master that. How do we cope with it? Gary Monaghan: Quite simply, there is no substitute for having people on the ground. So we’ve got analysts here in Hong Kong, Singapore, Shanghai as well, who speak the language and go meet the companies face to face. Richard Edgar: Luc, in the fixed income world you must be fed up with the attention that your equities colleagues are getting with all this MSCI A share index excitement, but is there a halo effect of raising the profile of investing in the region in all asset classes as a result of all this? Luc Froehlich: Well Richard, I’m actually not fed up. We have also a little revolution going on. Actually a few weeks ago the Bloomberg Barclays index announced that they were also going to include China onshore in their own index. So this is causing a little revolution in our bond markets too. As Gary mentioned, it is definitely attracting more attention toward the onshore market in China. The inclusion is going to lead a lot of the benchmark followers - which is a large amount of institutional money - to direct a bit more attention toward the onshore bond market. So we are talking about 5 per cent in this Bloomberg Barclays index - 5 per cent for China onshore. It’s not very large. If you compare this to the size of the China onshore bond market, which is about 12 trillion US dollars, it’s a drop, but it’s a beginning. Gary Monaghan: And I was going to add to that - what we’ve seen in the last 12 months is equities have done a very good marketing job in terms of talking about MSCI including A shares. And when we go to meet clients the questions are always directed towards the equity world. And it seems to me that it’s often not ignored but not well known that this is happening in the fixed income space as well. And that&apos;s something which I think is quite important because it&apos;s not just equity money coming into the mainland but the fixed income money as well, which is probably on the whole a bigger wall of cash. Richard Edgar: How are their clients changing? Who is putting money into China? Is that changing? Luc Froehlich: On the fixed income side, if you look at the bond market, the main players are still institutional money. If you look at the overall China onshore bond market, overall we have about less than 2 per cent of foreign ownership. And if you look at the composition of this ownership it’s mostly institutional clients like central banks, sovereign wealth funds. The retail investors should come, but later on. Richard Edgar: The message hasn’t reached that far yet. Or is it confidence - a lack of confidence? Luc Froehlich: It’s simply a different stage of development of the market. You would typically see first the institutional money going there - they have more resources to analyse the market and following that the retail investors. Gary Monaghan: Yes, it’s exactly the same really for the equity space in that the key that unlocked the A share market for investors was Stock Connect. And that is really something that institutions can use and it’s not that easy for the retail guy to do that unless they invest in companies like ourselves. Richard Edgar: And thinking about the questions that these institutional clients are asking you both - how have they changed over the past couple of years? Gary Monaghan: Much more receptive I think to A shares. Before it was very easy to ignore because it was never in the benchmark. Also you could pretty much say, “We don’t know the companies very well. There’s corporate governance issues…” and then you could just ignore the entire market. But don’t forget the market itself. If you look at Shanghai and Shenzhen, they’ve got a market cap of about 7.5 trillion. Compare that to Tokyo, which is 6.8 trillion. So the mainland is actually a bigger market than Japan. So you can’t ignore it. But people were because of the point that they were not in the index. Richard Edgar: Gary, let’s talk a little bit more detail now about the MSCI. It’s about to push huge companies - some still unknown abroad - onto the world stage. What impact is that going to have on their business? Gary Monaghan: Well first of all you should see more, let’s say foreign institutional investors on the shareholder register, which can bring some more questions. So you tend to get maybe a little bit more activist type investors and particularly a greater focus on ESG which as you know is a key theme at the moment. Richard Edgar: And something that management teams perhaps until now have not had to concern themselves with. Gary Monaghan: Not so much. I mean it is a growing theme globally anyway so it shouldn’t come as a surprise to any company. But as you get more international investors on the shareholder register do expect to see a lot more focus on ESG, corporate governance, and just general questioning around what’s going on with the business and the direction it is heading. Richard Edgar: What are they going to do with the money that this investment represents? Gary Monaghan: Well hopefully the good companies will get a greater percentage of the cash that comes in. Particularly if you think of us as an active manager we can choose the businesses that we invest in. So hopefully the better companies get more cash which they can then reinvest in the business, at hopefully greater rates of return. Luc Froehlich: One of the comments that I frequently hear from international investors when I tell them, “Hey, look at this market, it’s growing so fast.” I often hear, “Well, that means the companies are just piling up more debts. So actually from a risk point of view this is not a good thing.” It’s actually not really the case. It also has to do with the stage of evolution of the company. Most of the companies in Asia, in particular in China, have been extremely reliant on the banking system - using loans to finance their working capital or their expansion. Now if you continue evolving, becoming more sophisticated, you need a larger amount of capital which the bank cannot provide you. So you need to go to the capital markets. The other thing is that the more sophisticated you become, the more diverse you want to your sources of funding to be. That’s also a motivation for these companies to come in to the Asian US dollar bond market or international market. So it’s not necessarily the same company issuing more debt, it’s actually more companies. And we see that every month you have a maiden issuer - a new name coming on the market. It requires a lot of research power, but at the same time that’s significantly increasing the diversification potential in our space. Gary Monaghan: So if we’re thinking about, let’s say away from the very mega cap companies in the A share market, do you see them starting to use fixed income markets? Because I’m assuming a lot of the smaller companies don’t really have much experience there. Are we seeing that happen more and more, do you think? Luc Froehlich: The challenge that these companies have at the moment is twofold. Firstly, for smaller companies they tend to be higher risk, more in the high yield space, and in China onshore there is not yet a high yield market. Most of the high yield companies that you’d find are actually fallen angels. That’s the first thing. The second thing is that at the moment, if you see these little names trying to issue on the US dollar bond market, they would have to pay a yield that would be so high - just to make their offer palatable - that it would not make sense for them. So it is going to take time for the small guys to come on this market. Richard Edgar: Gary, you mentioned active management but I wonder whether the inclusion in an index heralds the decline of active in China because now investors can park their cash in a fund that tracks that index, get the exposure and get the diversification, for example that China offers, but they can do it very cheaply. Gary Monaghan: First of all, what you have to remember: the inclusion at the moment is what they call a 5 per cent inclusion rate. So effectively they’re there capping the size of the Chinese stocks to only 5 per cent of their true size. And there’s only 234 that are moving into the index. There’s about 4,000 to 4,500 listed companies. To be frank, a big chunk of those are relatively uninvestable for investors like ourselves because of liquidity constraints and such. But there is a lot of companies which are not in the index for a start, so active managers can look beyond the boundaries of the index, which creates alpha hopefully if you get your stock call right. Luc Froehlich: This is actually another question that I frequently get: “Why would I use active management to invest in a market like China onshore?” I’m very open about the use of passive investment in certain markets - highly developed, efficient markets - it can make a lot of sense, especially as a compliment to an active strategy. Now if you look at specifically the China onshore bond market, one of the big challenges there is to properly assess the credit risk of issuers. Onshore, they have a different rating system; the local rating agency only use three ratings - AAA, AA, A - and effectively it’s only a relatively recent trend where we see differentiation in the credit spreads of the different rating groups So the challenge if you are an international investor and you try to follow those ratings, especially if you are doing it passively, is you are just going to invest randomly and you don’t know which are the credits - the spread of which are going to widen and the ones that are going to tighten. So it is really a market where active management makes a lot of sense. Richard Edgar: Much less diversification in terms of the official rating but your point is that there is diversification in the reality of how companies are being managed and the risk they represent. Luc Froehlich: Absolutely. It is a normal market but the ratings don’t necessarily reflect this reality. Gary Monaghan: If you’re investing with active management you can choose the company managements you believe are working on your behalf as a shareholder. So don’t forget that if you are investing in passive, particularly in China where there’s a great deal of state owned enterprises (SOEs), you’re embracing certain risks that maybe you’re not aware of. Particularly if a large chunk of your passive market is a state owned enterprise, you are investing in companies where you don’t really have a say in what’s going on. And the management is generally government driven somewhat and they can be called upon to do national service and sometimes that leads to poor capital allocation. Richard Edgar: So in other words, the company is being asked or told to behave in a way that suits the country rather than shareholders. Gary Monaghan: So I could be a state owned bank and Luc may be coming up with the best new idea we&apos;ve ever seen but you happen to be an industry that employs 2 million people and the government may say to me, “Well, you’ve got 500 million dollars, you’ve got to give it to Richard because they’re keeping two million people employed,” whereas really if I&apos;m thinking from a shareholder perspective and future growth I should be giving that money to Luc and then he can create incredible returns and that’s the industry of the future. So without really realising it sometimes in passive you’re putting money to companies where you don’t have the greatest control and there can be some misallocation of capital. Richard Edgar: And what about the governance in normal companies that have a normal structure - or one that we’re more familiar with perhaps than some state owned enterprises? What about the management priorities there? Is that different, or is there a development that has yet to happen in some of those companies? Gary Monaghan: One thing when people talk about China - and this is actually true for Asia, it’s not just a China story - people will say, “Oh, corporate governance is poor.” I think we have to think about what we mean by that. Actually quite often, particularly when you’re meeting companies that are not the mega caps who’ve already got experience, the company will be owned majority by the founder and a couple of his friends, let&apos;s say, and they&apos;ve never really had to deal with shareholders before. So it’s not that they’re cowboys and they’re going to run off with your money and they have fraudulent accounting, that’s not true at all. It’s just that they haven’t had to deal with the expectations of shareholders. That’s not bad corporate governance it’s just inexperienced corporate governance. Richard Edgar: So do we engage then with companies like that? That’s a large part of what Fidelity investment professionals talk about externally. So what are the conversations like? Gary Monaghan: There’s no other substitute to having your feet on the ground and going to talk to them. Whether that’s through the analysts, the portfolio management team, or quite often for equity capital markets team whose role is corporate engagement to discuss some of the things that we hold dear from our investment perspective. And discuss things that we will vote on and talk about. Luc Froehlich: That’s a very important point and it’s something that’s sometimes misinterpreted outside of Asia. Effectively, if you look at large or even small Asian companies, the ownership is usually more concentrated. It’s usual to have the founder who is the chairman who is the CEO. There is nothing really wrong about that. But to some extent it also explains the explosion of the bond market in Asia. If you look back in 2010 when the European bank started pulling out of Asia, we saw a lot of these issuers coming on the market. They effectively had to change their mentality, show more to investors. If you issue a bond and you want to get it rated you need to disclose quite a lot of information, like when you list a company. This has really helped to improve the governance of the companies that we cover. Richard Edgar: So these are still emerging. There’s some way to go still, but a lot of development has already happened. Luc Froehlich: Yes. I would just be careful with the term “emerging” because it’s a slightly different topic. But one of the things that I usually struggle with investors that are not necessarily familiar with the Asian space is that Asia gets put in the same bucket as emerging markets. And it leads people to say, “Oh, Asia is so expensive, look at LatAm - you get much better yield, much better returns etc.” You are not comparing apples with apples. The reality is that when you invest - I’ll focus on the fixed income side - in Asia, you invest in about 16 different markets. Richard Edgar: And some of them are very developed. Luc Froehlich: Some of them are highly developed. If you look at countries like Hong Kong or Singapore, they have a very high level of development. If you look at the GDP per capita of Singapore, it’s actually higher than the GDP per capita of Germany. My point is that it’s a little bit dangerous to talk about “emerging” because we are talking of a good mix between developed and emerging economies. Richard Edgar: You make a really interesting point because people are beginning to shift from emerging market debt to Asia for precisely this sort of reason. That you change the risk profile. There is the diversification away from other debt markets but you are lowering the risk perhaps that goes along side that. Luc Froehlich: I don’t know if we’re lowering the risk. I think there is more awareness for what Asia has to offer. Until recently, when people were looking at Asia they were mostly looking at the yield that you can get - this chase for yield. And effectively, if you look at the investment that you can make in the bond market in Asia, you would get a much higher yield than you get in Europe you would get a similar yield as you get in the US but for lower duration. It’s a very attractive proposition just in terms of a risk profile. Then people also start looking at the different sectors where you can invest in. If you focus on the Asian US dollar bond market, it’s a market that has grown by about 20 per cent on an annual basis every year over the past 10 years. And this has led also to the emergence of new sectors. A few years ago, if you wanted to bet on the consumption of gaming you would have had one or two names. Now you have a real sector. So what people are seeing is not only about yield it’s about diversifying their portfolio into different industries. Richard Edgar: And the types of outcomes that people are looking for has moved on as well, Gary. Asia isn’t just about growth now. Gary Monaghan: No. There are other factors that we see as being quite interesting within the region. For example dividend. It often shocks people to think of Asia as a dividend market but if you look in markets like Thailand where the yield currently is around 2.7 per cent, Taiwan where it’s above 3.5 per cent. We’ve got markets - as Luc said it’s diversification - that offer different things for different types of investors. And actually someone was saying to me yesterday that they’d read a study that one of the key drivers for share price return and share price capital growth is an increase in dividend within the Asia region. So it’s telling you that there are other factors other than growth. But of course to grow your dividend you generally have to grow your business and grow your cash flow. So it is linked but there are other factors which we find quite interesting. Richard Edgar: Luc, when investors put their money into Asian fixed income what exactly is it that they’re buying? Luc Froehlich: One point that we’ve touched is this good balance between developed markets and emerging markets. I couldn’t stress enough this point. Besides this, what they’re also buying is diversification, lower correlation with other markets. We started by talking about the China onshore bond market. Again a lot of people are looking at this market because it offers slightly higher yield than other markets. But from my point of view what is the main benefit - especially in a market where a lot of people talk about stretched valuations, are scared about volatility - what China onshore is providing you with is an asset class which has close to zero correlation with other asset classes. So you tell me what it is better in your portfolio in terms of diversification. I think this is really what institutional investors are more and more looking for. They go beyond the yield and look at the diversification potential. Gary Monaghan: And I think apart from that, [for] a bigger picture type of view, buying Asia and particularly the equity market is you’re buying a future. New businesses are developing in the region which don&apos;t exist anywhere else in the world. Tencent is a great example. This is a platform through their WeChat platform that has multiple functions that don’t really exist in the west. And western companies will look in and say, “Wow, I wish we could do that.” So you’re investing in the future. You’re investing in the future growth as well. So just to throw out some stats: we’ve got 4.5 billion people in the region which is about 60 per cent of the global population; 35 per cent of the global GDP. Yet that is growing faster than most places in the world. So you’re looking at places like Indonesia - 5 per cent plus GDP growth, China - 6.5 per cent, India - around 7 per cent growth. So that 35 per cent of GDP, which should grow over time if we continue to see the current trajectory, which we don’t think will slow down. Richard Edgar: There seems to be no reason to see a change in Europe or the States at the moment. Gary Monaghan: We do expect GDP to continue growing at the rates that we’ve been seeing. 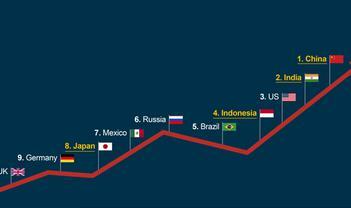 Yet at the same point in time, Asia ex Japan is only 4.5 per cent of the global equity index. Richard Edgar: So there’s an enormous mismatch there. I know it’s the same in fixed income as well, that the proportions that are allocated to Asia are much smaller than they ought to be on that measure. There are perhaps reasons for that though. We’re coming to the end, so after an inspiring discussion perhaps on the good reasons for investing in Asia, what are the things that investors need to watch out for? What are the potential downsides? Because you can’t just plough in. Luc Froehlich: The traditional risk that is seen in markets like Asia, is the higher volatility. This is typically what people would tell you - that in a period of uncertainty you’re going to see much higher volatility in emerging markets, including Asia. It’s actually not been the case. If you go back to the Brexit referendum vote or the Trump election what we’ve seen actually is that the Asian US dollar bond market, especially on the investment grade side, has been a safe haven. Because you are able to shift money into an environment which is pretty well sheltered from the rest of the world and where your opportunity costs are actually not high at all. Richard Edgar: It’s an amazing turn of events. Gary? Gary Monaghan: It is. And alongside that increased volatility I must say that there is generally greater retail participation in some markets which does sort of create more churn. And so therefore you can be on the wrong side of that. So there’s an element of risk there. But also one of the things which I mentioned earlier: there’s a lot of state owned enterprises in the region and they are a big chunk of the market and if you are a passive investor in particular you are taking on state owned enterprise risk which is you don’t always know what’s happening with the capital that the company has. So there are elements of risk that you have to be aware of. Therefore going back to the point of why active - that’s one of the key selling points for active in the region is you try and avoid those areas. Not all SOEs are bad, I want to say that, but there is a risk of capital misallocation. Luc Froehlich: So we are going hear, probably over the next few months if not years, about more default in China. This is already making the headlines of all or most of the national newspapers. The reality - the way we see it from on the ground - is it’s a positive development. It’s a positive development in the sense that it improves the capital allocation. The bad companies that are piling [up] debt, who are just doing M&A in an inconsiderate way - they are going to be sanctioned. The government is stepping away and saying, “Look, investors, you need to realise the risk that you are taking.” So it is beneficial for bourse companies because it helps them allocate capital properly. If you’re a good company you should pay less for your funding. And it’s good for investors because now when you put your money in the company you know that you’re going to be compensated for the risk that you’re taking. Richard Edgar: So it’s a more efficient market that is maturing and that brings with it benefits. Gary Monaghan: And one other risk to think about is that you are taking on institutional risk and by that I mean that you’re still seeing some developments within the regulatory environment. It could even be legal fields, in some cases governments - Thailand is a great example - where we’re going to see some elections, the first elections for a number of years, next year. So there are those risks as well that you’re embracing when you’re looking at the region. But again you just need to be very selective. Richard Edgar: So plenty of opportunity but go in with your eyes open is perhaps the best way to summarise it all. Let me thank you both: Gary Monaghan and Luc Froehlich for joining me.